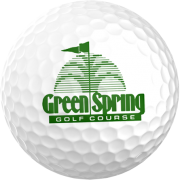 Green Spring Golf Course is a top-rated, municipal golf course owned by Washington, Utah. Striving to offer a premier, quality golfing experience, while keeping rates affordable, Green Spring remains a fan favorite among locals and visitors. Designed by award-winning golf course designer Gene Bates, Green Spring opened in 1989 and was ranked in the Top 5 Best New Public Golf Courses in America by Golf Digest in its debut year. It continues to receive awards from Golf Digest and Golfweek as one of the top course in the state. Signature holes 5 and 6 have you shooting across red rock ravines that will surely get your heart racing! These two holes feature breathtaking shots over a deep red-rock canyon, with stunning backdrops of Pine Valley Mountain and views of Red Cliffs State Park Recreation Area. Hole 6 was ranked as “The Hardest Hole in Utah” for many years by a Salt Lake Tribune poll until they expanded the rankings to the “18 Hardest Holes in Utah;” it currently resides on that list. There are many water hazards and defiant ravines to navigate on the course. Green Spring is considered by many to be the toughest course in Southern Utah, bring extra balls!! For more course information, pictures, drone footage of each hole, rates or to book a time, please visit our website. 588 North Green Spring Dr.